Over and over again, rounding has proven to be the best way to collect vital information, reward and recognize, build relationships, and validate key behaviors for safety. It builds engagement by all stakeholders. When organizations adapt MyRounding, we provide a performance expert to ensure the right rounding processes are developed, which maximize the MyRounding features and align to the organization's rounding goals and objectives. Our coaching process, when implemented alongside MyRounding, accelerates and improves the impact of this Must Have® process. Learn more about MyRounding and the application's features in the short video below. In fact, you may have been doing so for several years. If so, it's time to validate that leaders and staff are still rounding correctly. 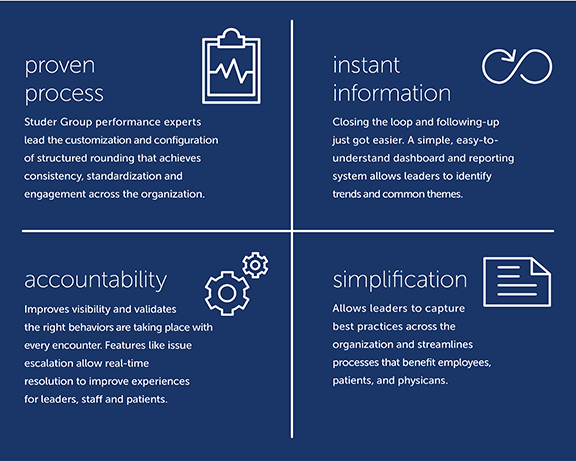 It's time to ensure questions being asked and actions taken have evolved with the state of healthcare and the goals of your organization. It's time for information-driven rounding. 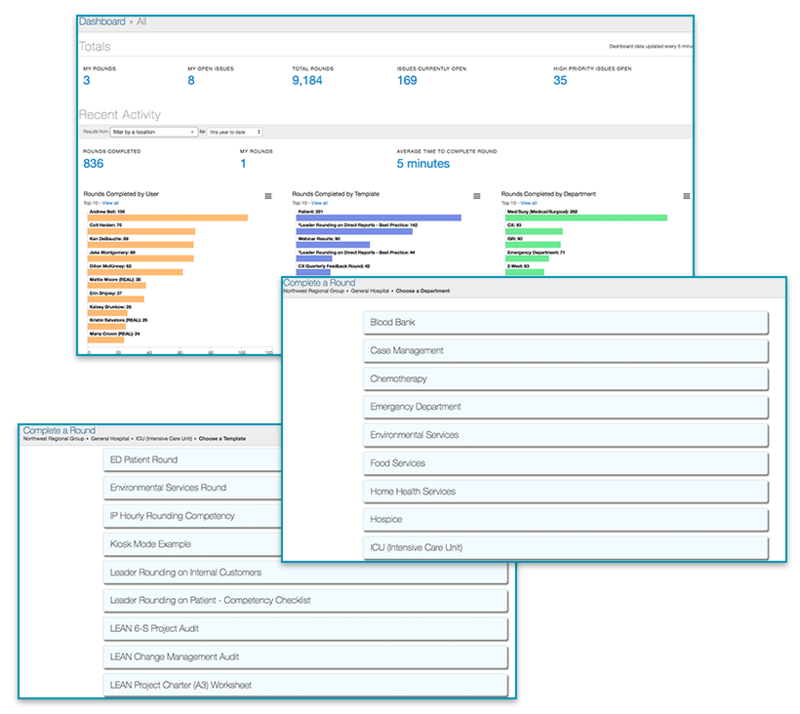 Thorough information-driven rounding gives you instant access to facility trends and issues identified by your staff, providers, and employees. Download the MyRounding product sheet. Access complimentary rounding tools, including scouting reports, rounding logs and more. It's time to take your rounding to the next level. Save time, customize templates and create accountability. Complete the form to get started today.